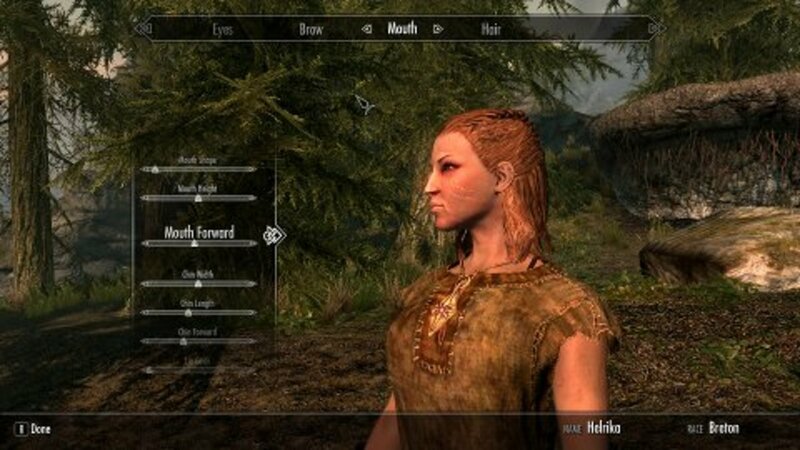 Is There a Right Way to Play Skyrim? The pinnacle of computer role-playing games? 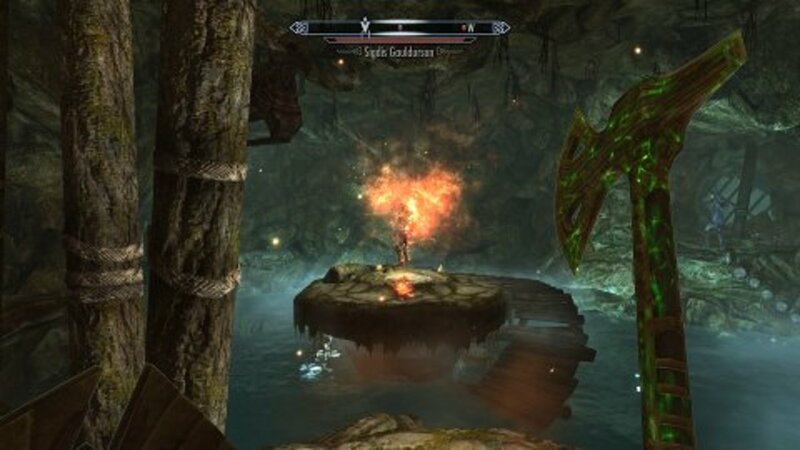 Role-playing video games like Skyrim and Dragon Age present an unusual challenge, not only for developers, but for players as well. Although it is not always in the forefront of consciousness, most of us, at some point or other, are wondering if we're playing the game the right way. The reason why we wonder is because CRPGs (computer role-playing games) do two things: they provide us with a set of game mechanics to be mastered, and they provide us with a virtual environment in which we act out alternate personas. When the game mechanics do not support the player character's narrative, problems ensue. A frequent forum topic is how to create the ideal character build. For example: how to build the best thief or the best mage. When someone posts a thread like this they are generally working from a rules perspective: the poster's objective is to find a build which both (a) fits into a role-playing stereotype, and (b) uses the rules of the game to maximize their ability to take advantage of it. A is a role-playing element, albeit a shallow one, and B is a game mechanic element. For the purpose of this article, I will refer to these people as rule gamers. Note that rule gaming and role gaming are not inherently conflicting tendencies (although the implementations might be) and many people happily indulge in both styles of play. The question posed by this article is whether or not one play style is more 'true' to the game than the other. Another frequent topic is how to create greater immersion. For example, basic needs mods which impose food and sleep requirements on characters. When someone posts a thread like this, they are generally working from a role-playing perspective: the poster's objective is to find a set of rules (mod or combination of mods or mental rules) which both (a) forces the character to behave in a fashion that is more restrictive than the game strictly enforces, and (b) implements these rules in such a way that the player is forced to follow them. A is, again, a role-playing element, albeit a much stronger one, and B is a game mechanic element, albeit a weaker one (as the player may be satisfied with a simple set of mental rules). In this article, I will refer to these people as role gamers. Is there a right way to pwn enemies in Skyrim? Min/maxing will seem to be either at the heart of the game, or its antithesis depending on your perspective. For a rules-oriented person, min/maxing is nothing more than applying logic to the rules of the game. If a game allows a player to do something, and it is superior to a different tactic, a rule gamer will pursue it. That doesn't mean that these people want to 'cheat' or exploit the game. Quite the contrary: these are the people who find imbalances in the game rules to be most upsetting. From the rule gamer's perspective, the fact that the rules allow a behavior means that the developers must have implemented it intentionally and designed the system around it. From this perspective, this is how the developers intended the player to engage the game. If a tactic later turns out to be unbalancing (an 'exploit') then it is seen as a serious flaw in the game's design. From a rule gamer's perspective, balance is paramount, and is even more important than internal logic and consistency in the game world. A lot of the arguments in the Elder Scrolls forums revolve around whether or not certain skills (Smithing, Alchemy, Enchanting) are too powerful. Rule gamers want to maximize their ability to succeed in the game, but don't want that optimal chance of success to outweigh the challenge of the game. In other words, a perfect game is a game which is perfectly balanced only when the player is playing optimally. If a player under-achieves, it is because they do not sufficiently understand or apply the rules of the game. If they over-achieve, it is because the game suffers from a flaw which imbalances gameplay. Just how customizable is your character? Immersionists tend to have a completely different perspective on the importance of balanced gameplay. From an immersionist's perspective, variety is more important than balance. While games should strive to be balanced in numerous ways, role gamers are willing to forsake balance if it means greater immersion. For a role gamer, it is acceptable for different character builds to have different prospects, for some to be better suited to 'succeed' at the game's principal objective (eg. combat) than others so long as these others are better suited to succeed at other, secondary objectives (eg. better at stealing or crafting items). For a role gamer, it makes sense that a character who spends all of their time brewing potions is not going to be as good at combat as someone who spends all of their time slitting gullets. In fact, equalizing character builds by making all character types equally balanced has the effect of devaluing role-play because it tends to reduce everybody to the same level. It becomes a matter of indifference what course you pursue because 'all paths lead to Rome'. By choosing a less than optimal character build, a role gamer can achieve an experience which differs from other builds and simultaneously experience different types of gameplay. For a role gamer, the internal consistency and logic of the game world is more important than the consistency and logic of the game rules. 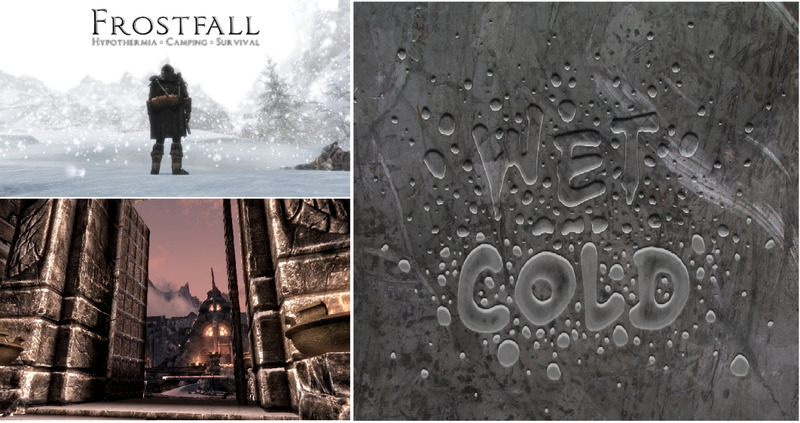 On the Elder Scrolls forums (and pretty much everywhere else the game is discussed) there is much heated controversy over Bethesda's design decisions. Rule gamers are quite vocal about the imbalances existing in the game rules, drawing attention to various exploits and inconsistencies that 'ruin' the game for them. There is an equally vocal contingent of role gamers that defend these decisions arguing that, owing to the fact that Skyrim is a role-playing game, the rule gamers have little reason to complain since the game isn't designed to be perfectly balanced in the way that rule gamers expect. It is obvious that Bethesda has attempted to balance different character builds to some degree. 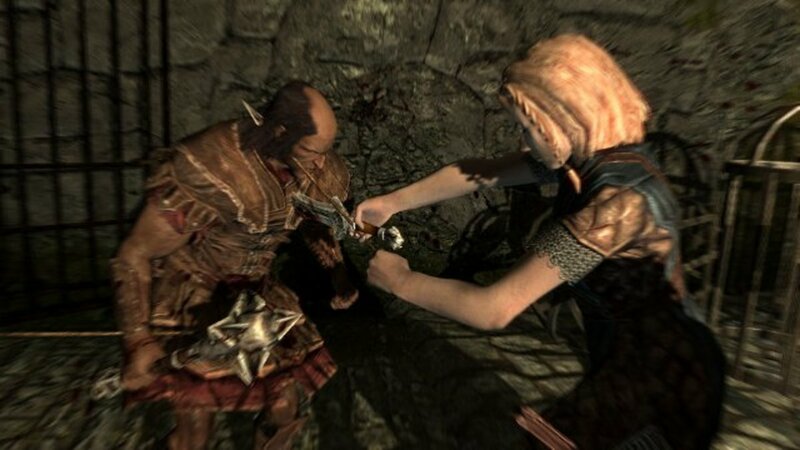 The number of skills has been reduced, resulting in a greater proportion of combat-applicable skills compared to previous Elder Scrolls games. In addition, some of those skills which are not immediately combat applicable have strong combat benefits, like alchemy, smithing, and enchanting. Clearly they have made an effort to streamline character builds in the direction of combat-oriented gameplay. Additionally, certain mechanics, like level scaling (leveled creatures and loot), are clearly attempts to create a balanced gameplay experience at the expense of the internal consistency and coherence of the game world. This is a clear sign that the developers have given serious consideration to the importance of game balance, even if it means introducing rules which produce results which are less than ideal from a role-playing perspective. It is not unreasonable, then, to assume, as the rule gamers do, that Bethesda's intention is to produce a game which is more rule oriented than role oriented, and hence dependent on and subject to the criteria of optimal game balance. Rule gamers frequently opine about the player's ability to 'gimp' themselves through poor leveling choices. Clearly, there is a better and worse way to succeed at this game's primary objective if that objective is combat and the game has been designed primarily to support that style of play. 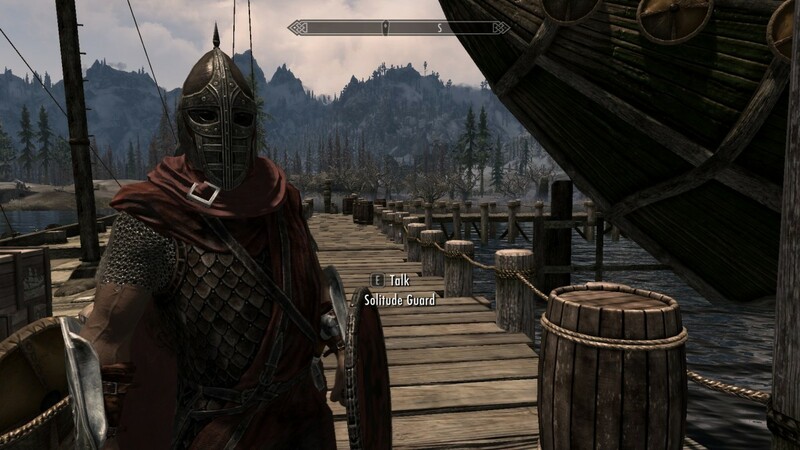 It is equally obvious, however, that Bethesda has taken pains to give the player more tools for role-playing. Ignoring for a moment the rules underlying the mechanic, the crafting system has obviously taken huge strides in the direction of greater immersion. 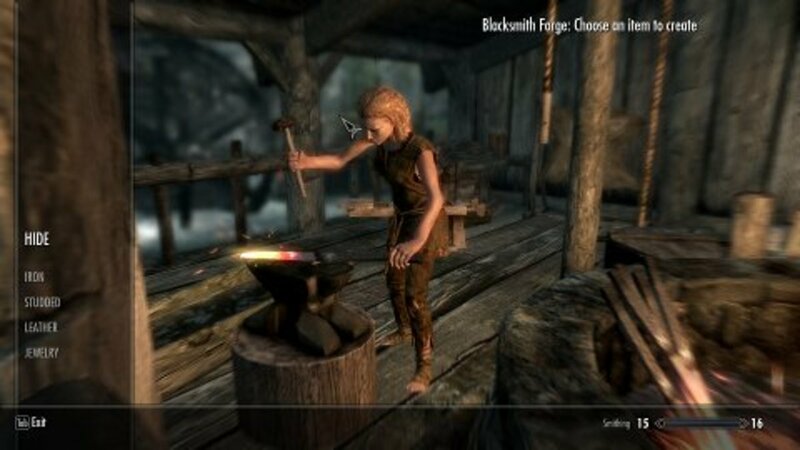 Crafting has been taken at least part-way out of the menu-bound system that existed in previous games and placed the player squarely inside the action in animated cut-scenes. This, combined with the increased diversity of tasks (cooking, leather working, mining, smelting, smithing, chopping wood, etc.) is an obvious indication that the developers have a vested interest in providing players with the best role-playing experience they can. 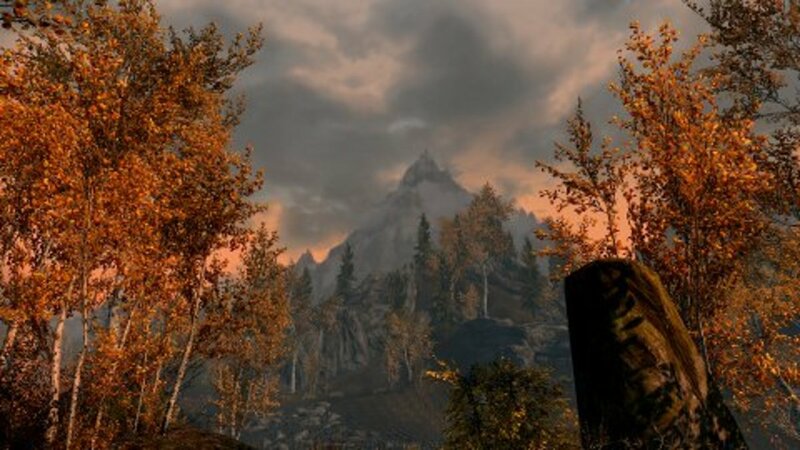 Additionally, Bethesda has taken pains to immerse the player with a stronger narrative, better writing and voice acting, an improved dialogue interface (taking the player a step outside of the dialogue 'box'), stronger attachments to NPCs (through marriages, companions, and faction loyalties), more appealing environments (landscapes, dungeons, interiors), pseudo-occupations (NPCs engaged in activities), and other story elements. Clearly, then, they have attempted to satisfy both camps. But has this desire to please resulted in a less satisfying experience for both groups? Does it mean that there are 'better' and 'worse' ways to play Skyrim? Player choice has been the modus operandi of Bethesda Softworks from the beginning, but does Skyrim really support this style of play? True, players can choose to engage in a wide range of activities: chasing butterflies, hunting rabbits, and getting married are all possibilities; but are they a real substitute for pursuing the main quest as a combat-oriented messiah? Are they intrinsically satisfying, or do they merely serve to enhance the game's primary objective: fighting dragons? If they are mere accoutrements, can they be judged based on their utility rather than their inherent value as engaging pastimes? If players can 'gimp' their characters by indulging in non-combat-oriented activities or exploit the mechanics of crafting to make themselves unbeatable is the game broken? I think it is clear that a game can't be all things to all people. Whether or not Skyrim is broken depends on the use you expect to get from it. If you expect to play a finely tuned action game with perfect gameplay balance I think you will be disappointed. There are clearly better and worse ways to go about slaying dragons in Skyrim, so if you believe that is the game's primary objective you will find reasons to complain. Conversely, if you expect to find a fully immersive role-playing game where your choices have depth and your actions have consequences you may also be disappointed: there really is only one strong, fully developed storyline in the game so if you choose to go your own way you will quickly run out of high-caliber content. But does this mean that Skyrim is a bad game? The problems don't start until you try to use the game to achieve different results. If your idea of playing Skyrim is to learn a trade or get married and settle down your experience is going to be unavoidably shallow and unsatisfying. Most people playing Skyrim don't want to play the game this way, though, and the developers know it. 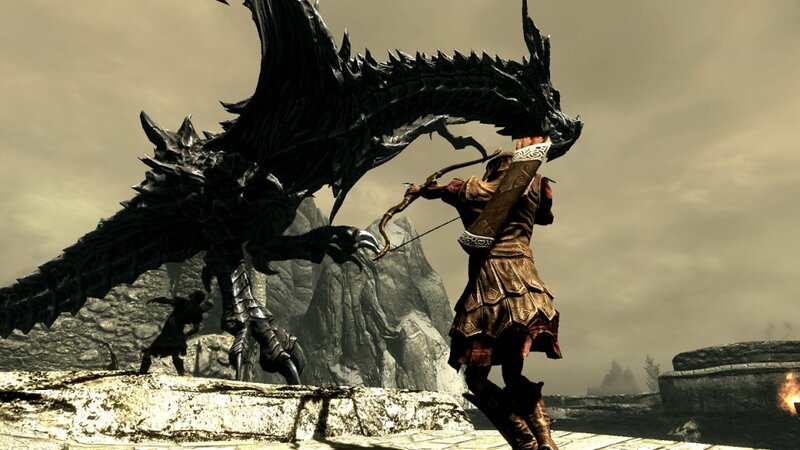 Sure, Skyrim has been designed from the ground up to provide the player with lots of choices; but all of these choices revolve around the core concept of the game, which is role-playing a hero with dragon blood. They are additions to the game which add depth and breadth to the core experience but aren't really meant to replace it. The game doesn't fail on this level. In fact, the game is wonderfully robust and well-balanced considering the range of options that players do have. Calling it broken because it does not support your particular gameplay objectives is just not sustainable as an argument. So is there a 'right way to play it'? Obviously not, since every player is different. But are there better and worse ways to play it? I believe that there are. First of all, remember that game developers have limitations: they cannot create games that can be all things to all people. That is an impossibility. At some point, they have to chose what is going to be the core element of the game. 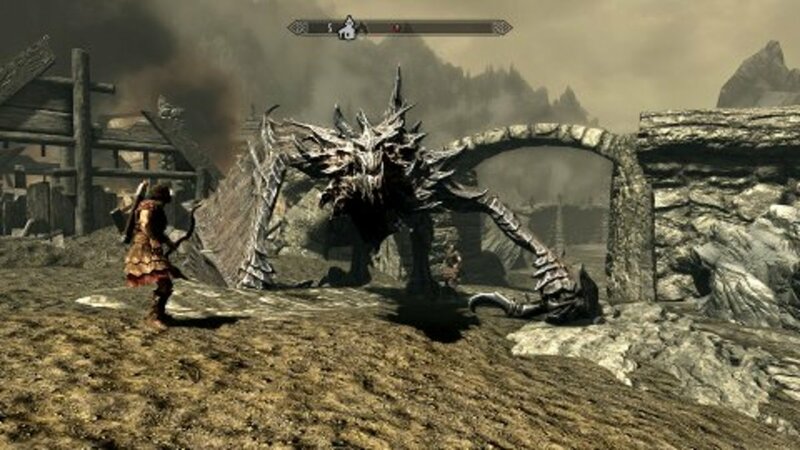 Second, recognize that the core element of Skyrim is role-playing a character that has a specific, predefined role and that that role will eventually require you to face dragons. Yes, you can change how your character looks and what particular skills you are better or worse at, and you can ignore your calling for a while, but ultimately the game expects you to play some variation on the epic heroic theme. This was the design decision that Bethesda made to combine the goal of making a great game with the financial and scheduling restrictions that reality imposes. Third, being aware of the limitations and focus of the game, don't try to game the system or role-play your way out of it. This is not an MMO and it's not a table-top RPG; the developers are not concerned about fine-tuning gameplay elements on the fringe of the core concept or elaborating every possible permutation of your character's personal idiosyncrasies: if you play within the general boundaries of the game, the game works well and is completely satisfying as a fantasy adventure epic. In other words: "play Skyrim the way Skyrim wants you to play it", which is as an epic hero that you can relate to. The mother of all flamers. Of course, not everybody is going to be happy with this conclusion. The problem arises from expecting either too much role-playing or too much balance. Skyrim is not a perfect role-playing experience but it is as close to a perfect RP experience as I have ever played. And, no, it is not perfectly balanced. It is possible to create characters that are less well-equipped to face the challenges or over-equipped for those challenges. But this is all playing on the fringes. I applaud your efforts to find precisely the elements you want and need for the perfect gaming experience. I do it myself, along with everyone else. But Skyrim is ultimately about Skyrim and it does a damn fine job telling that story. Stop pushing the envelope and start enjoying the game. It's not a contest. 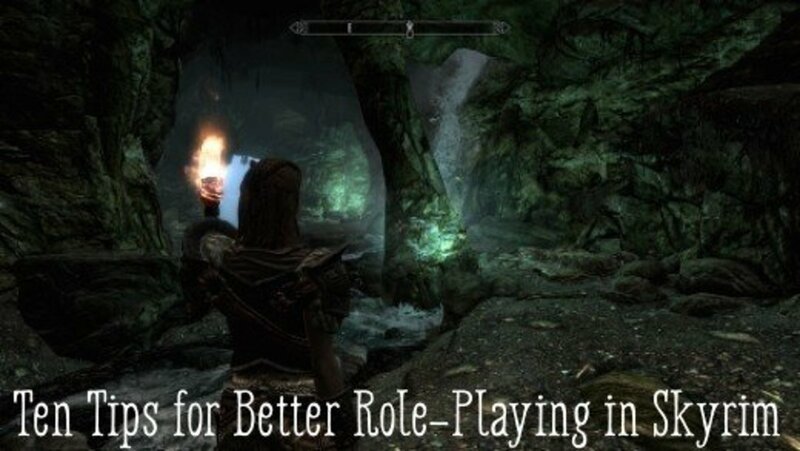 Is Skyrim a Role-Playing Game? What I totally love about RPGs like Skyrim (and why I absolutely fell in love with Morrowind) is that aside from the story lines and quests, there is so much content to explore and toy around with. You can just immerse yourself into the world and won't stop until you've seen it all. That's why I love these games. @Ironman1992: Wow, somehow I missed the comments on this page! You're not alone! I have the same problem with many games; I always seem to do the thing I'm not supposed to do, or pick the worst option. Just remember: the people designing the game don't necessarily think the same way you do. If you typically take a different approach to problems, you're likely going to run into this a lot. Thanks for reading. @Obsidian: The Creation Kit would be even better if they fixed some of the bugs, but it's a great addition nonetheless! Thanks for reading. Your articles are great and you have a very good understanding of where both sides are coming from. As a side note, Bethesda at least give us the Creation Set so the gamers can play in the giant Skyrim sandbox. I've always had trouble playing these kinds of games. I don't know why, but everything I do seems wrong. I always seem to choose the one choice, which leads to the worst outcome. @Niassuh: Skyrim's a great game as long as you don't expect it to be perfect. Thanks for reading. Great writing style you got there, I didn't get bored once! I agree with you; at the end of the day, I shelled out the money for Skyrim, I'd rather enjoy it than get hung up on things. I would agree with that analysis, though it depends a lot on how well developers test their systems. A simple system can be easily broken if no one tests it and a complex system might be very robust with sufficient testing. the rule is simple: all rule sets can be broken, and the more real options the system gives you the more easily it can be broken (made way too easy, or gimping yourself). In old style games the GM, if doing their job, would simply not let you break the game. In a CRPG, you just have to do it yourself. @Pete: I'm glad you enjoyed it. I'm really just high-browing the discussion, though. The people on the forums are really cutting lose. As they say, you can't argue with feelings, but it's always nice when people can articulate them with complete words and punctuation. Everything I learned about this subject I learned from the brawlers in the forums. @JohnGreasyGamer: Well, as I said, I don't believe there is One True Way to play the game, but based on my observations from reading hundreds (thousands?) of forum posts there certainly seem to be more and less frustrating ways, at least for many people. If you don't fight the game, the game works well. I think people only experience frustration when they play the game expecting to be able to do something that the game isn't really designed to do. So the answer is: yes and no. There is no one right way to play it, but the game supports certain types of play over others. Thanks for the kind words and I'm glad you enjoyed the hub! Nice works, I have to admit it's much more elaborate than most Hubs saying how to play an RPG. At the end of the day though, it's your £40 to play it. Some people pay for WoW monthly just to pretend (RP/Roleplay) as a Woodcutter or a simple trader. While I'm trying to complete TESV:Skyrim, I'll be RPing in it after. Probably as a Hunter selling pelts and leatherworking just for fun. Believe me, there's a lot of joy in doing it. Saw this linked on the forums. A pleasant surprise, finding a well-written, well-reasoned article about this horribly contentious issue of "you're doing it wrong." This article? Good. The forum debates? Well, let's just say that my occasional visits to the "general discussion" section feel increasingly masochistic. Thank you for elevating the discourse.